Hello everyone, I hope you're all enjoying a long weekend. 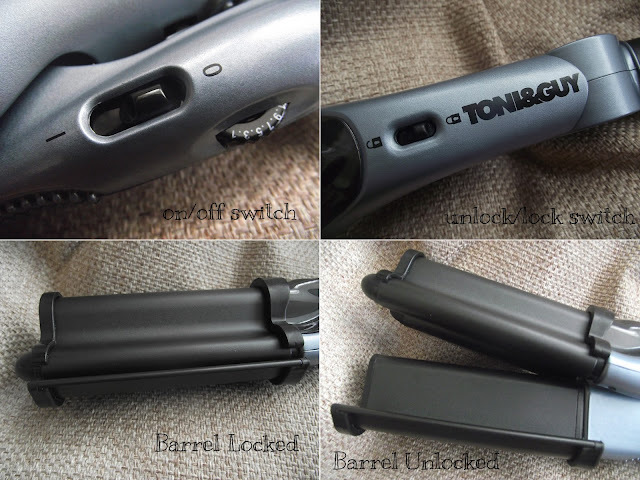 I have a hair post for you today, I've been using the TONI&GUY Deep Barrel Waver* and wanted to share my thoughts with you. There's a few different wavers on the market, I've tried a couple of them but have to say I'm smitten with the TONI&GUY Deep Barrel Waver in particular. It gives a different wave from the others, a movie star wave. Think 1920s! It looks quite a chunky contraption but it's really neat, easy and simple to use. There's an on/off switch situated on the side of the handle. Underneath the on/off switch you can see the temperature dial, this allows you to control the heat setting- the higher the figure the hotter and more defined the wave, the lower the figure the cooler and softer the wave. I normally select somewhere in the middle setting 13/14. There's 25 heat settings. You can lock the barrel together which is great for storage. A nice long lead and swivel cord are also good beneficial features which we sometimes take for granted, there's nothing worse than trying to styling your hair and the lead doesn't quite make it to the mirror! 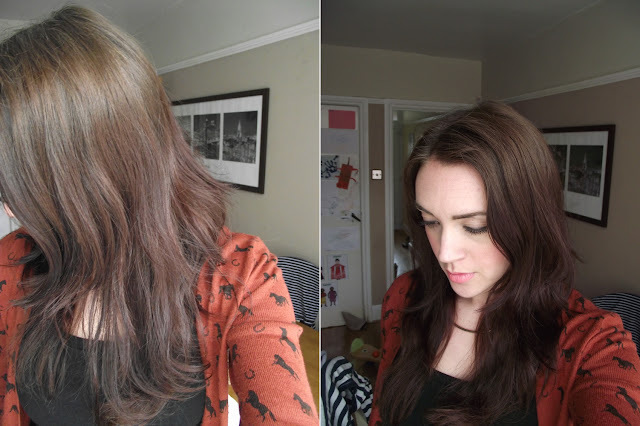 I took some photos of my hair before so you could really see the difference, I used two hair grips to help section off my hair and then took nice sized sections at a time. I started from the root and then clamped it down for 10-12secs and then released and worked my way down the section of hair. I love the loose waves this creates, I did run my fingers through the waves to separate them. I would suggest you wait for the waves to cool first before doing that. If you don't want to separate the waves let them cool and then spray them with a good hair spray after. I used the TONI&GUY Extreme Hold hair Spray- this stuff is amazing! What do you think? Do you like the waves? I love this look and can't wait to create it again, I think next time I'm going to go for a very soft natural wave. On another positive note is the price, unlike some wavers out there this has a very appealing price tag of £34.99-39.99. I can't recommend this waver enough, perfect for all year round but fab to use for the summer. I always think this style reminds me of Mermaids Hair. 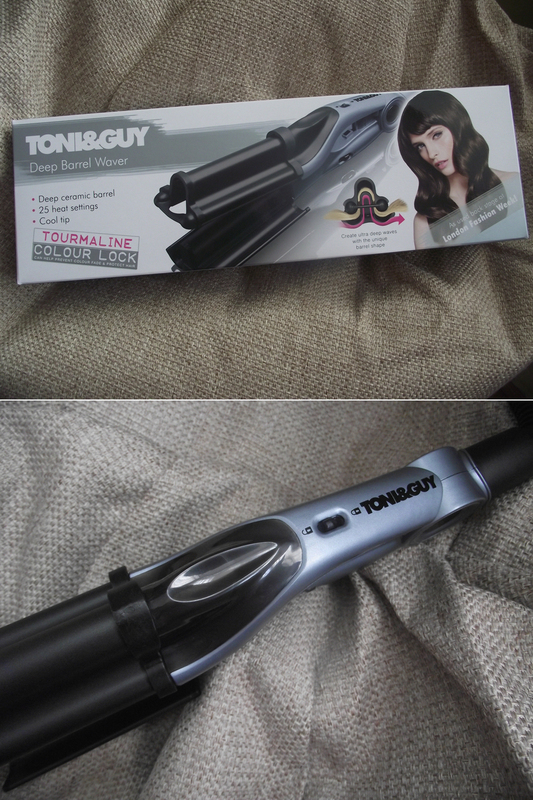 Will you be picking up the TONI&GUY Deep Barrel Waver? this looks gorgeous, i love those loose waves! haven't seen this before, but seems brill! Looks gorgeous. I've got really long hair and the thought of tonging it just seems too time-consuming but this looks like it could work really well. Good price too! !